In 2014, women surpassed more than 100 seats in Congress for the first time in history; a symbolic milestone in the long struggle for women’s equality in US government. Today, in 2019, women hold 127 seats in Congress. Despite these gains, it will still take more than century at our current rate for our legislature to achieve equal representation. Statistics conveyed by organizations like the Center for American Women in Politics and the Institute for Women’s Policy Research highlight this disparity: women comprise roughly 51 percent of the population and 53 percent of the electorate but only 24 percent of Congress. Women are not the only constituency impacted by unequal representation – our entire policymaking process suffers. Sheryl Gay Stolberg, “More Women Than Ever in Congress, but With Less Power Than Before,” New York Times, February 2, 2015. Nia-Malika Henderson, “Women will reach political parity in 2121. Why will it take so long?” Washington Post, May 22, 2014. Since 2000, Rachel’s Network has made the case that gender disparity in government not only stymies equality, it has serious implications for environmental policy as well. In previous iterations of When Women Lead (in 2003 and 2011), we analyzed the voting records of federal legislators going as far back as 1983 using League of Conservation Voters (LCV) Environmental Scorecard data. We found that women in Congress vote for legislation supporting clean air, clean water, renewable energy, climate action, and public health much more often than their male counterparts (and similarly vote more often against legislation that would roll back these protections). This update brings our analysis up to the present. After comparing annual LCV scores each year from 2006-2017, we again found that women legislators vote for environmental protections more often than their male counterparts in both the House and Senate. Climate change, pollution, food and energy insecurity, chemical safety, and biodiversity loss have become urgent global concerns that threaten lives and livelihoods in the US. If we want to make progress on protecting the environment and public health, we should help elect more women to public office, and support them during their tenure. In a 2016 poll from the Pew Research Center, 57 percent of women said that the environment was important to them in the next election, compared to 47 percent of men. Pew also found that women are significantly more likely than men to say climate change is a serious problem by a margin of 17 points. Since 2006, women in the House of Representatives have consistently outvoted their male colleagues on environmental protection. The average LCV score of women in the House over the 12-year period was 71 compared to 40 among men. Women in the House of Representatives also outscored men in the House every year over the twelve-year period studied. 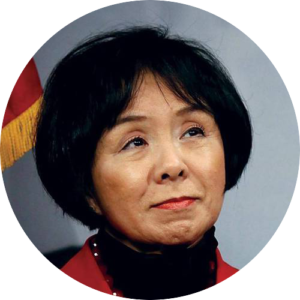 Representative Doris Matsui (D-CA) helped secure over $300 million in American Recovery & Reinvestment Act funds for energy efficiency programs, research and development and job training, including $127.5 for smart grid deployment. 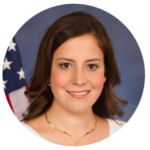 Representative Elise Stefanik (R-NY) joined the House Climate Solutions Caucus in 2017 to develop policies addressing climate change. She also helped defeat an amendment to a Defense Department authorization bill that would have blocked a study on the impact that climate change is having on national security. Representative Nydia Velázquez (D-NY) has led efforts to ensure communities are more resilient to future weather catastrophes including $511 million in federal resources for flood and storm resiliency projects. Seventy percent of the representatives earning perfect LCV scores (100) in the House in 2018 were women: Yvette Clarke (NY), Lois Frankel (FL), Brenda Jones (MI), Barbara Lee (CA), Grace Meng (NY), Nancy Pelosi (CA), Lucille Roybal-Allard (CA), Mary Scanlon (PA), Jan Schakowsky (IL), Nydia Velázquez (NY), Debbie Wasserman Schultz (FL), and Susan Wild (PA). The average LCV score of women Senators from 2006-2017 was 73 compared to 42 from their male counterparts. Women Senators also outscored men in the Senate every year over the 12-year period studied. 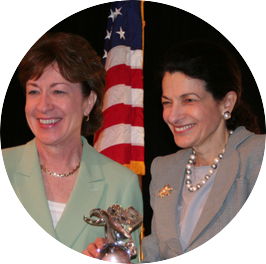 Senator Susan Collins (R-ME) and Former Senator Olympia Snowe‘s (R-ME) matching lifetime scores of 63 and 65 put them near the 12-year average for all women senators. 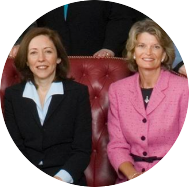 Both women voted for public land protections, water conservation, clean energy and climate change funding, and more. 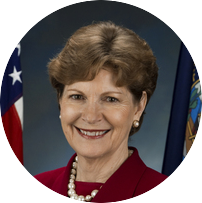 In April 2015, President Obama signed Jeanne Shaheen’s (D-NH) bipartisan legislation, the Energy Efficiency Improvement Act of 2015 (a bill she co-sponsored with Rob Portman, R-OH) in 2013. The Energy Policy Modernization Act of 2016 marked the first time the Senate passed a comprehensive energy bill since the Bush Administration. It was led by two women from across the aisle: Senators Lisa Murkowski (R-AK) and Maria Cantwell (D-WA). While women comprised only 23 percent of the Senate in 2018, they made up 50 percent of the LCV scores of 100, with perfect votes from Tammy Baldwin (WI), Maria Cantwell (WA), Catherine Cortez Masto (NV), Kirsten Gillibrand (NY), Kamala Harris (CA), Margaret Hassan (NH), Mazie Hirono (HI), Amy Klobuchar (MN), Patty Murray (WA), Tina Smith (MN), Debbie Stabenow (MI), and Elizabeth Warren (MA). Support electoral reforms, like multi-winner districts, that increase women's chances of winning. Get out the vote for women and the environment. Join the global movement for parity. Share this report with friends and colleagues. Encourage the Republican Party to support women. Encourage the Democratic Party to support women. Recruit women to run for public office. Train the next generation of women leaders. Call out biased coverage of women candidates and politicians. Address gender bias in the operation of legislatures. Support women candidates with strong environmental records. Rachel’s Network is a vibrant community of women at the intersection of environmental advocacy, philanthropy, and women’s leadership. With a mission to promote women as agents of change dedicated to the stewardship of the earth, we meet with cutting-edge thinkers, build productive alliances, and connect with savvy, like-minded women to strengthen our leadership and impact. Rachel’s Action Network (RAN), a nonpartisan 501(c)(4) organization, is an advocacy resource for women who want to translate their philanthropic giving into political impact. Our programs empower women leaders to influence the political process and make their voices heard on the issues they care about. Credits: Capitol Building Photo: Wikimedia Commons; Graphics: Mason Phillips. Not authorized by any candidate or candidate’s committee.